CAFP’s continuing medical education/continuing professional development mission is to enhance and improve the quality of patient care by maintaining, developing and increasing the competence, knowledge, skills and professional performance of family physicians, their practice teams and other primary care physicians — within California and nationally. International audiences will also have access to internet-based activities. 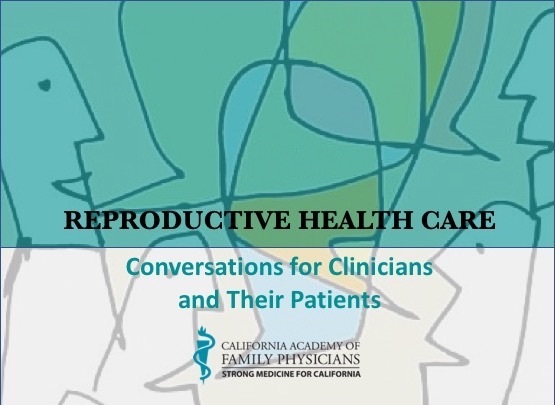 Reproductive health is an important element of the full-spectrum family medicine. CAFP has long-standing policy supporting the full complement of reproductive health services, including availability of insurance coverage for those services, over-the-counter (OTC) access for contraceptive medication, access to Long-Acting Reversible Contraceptives (LARC) and vasectomy, pregnancy termination, as well as education and training. Pathways in Management: Effectively Addressing Osteoarthritis and Pathways in Management: Chronic Low Back Pain are interactive, case-based activities that highlight current guidelines and describe how to put them into practice. Included are practical tools and resources to support the appropriate care of patients with either osteoarthritis and/or chronic low back pain to improve their quality of life. These activities are part of an interdisciplinary collaboration of CAFP, Interstate Postgraduate Medical Association, Nurse Practitioner Healthcare Foundation, American Academy of Physician Assistants and Healthcare Performance Consulting. In addition to these enduring activities, information on “mini” quality improvement accredited activities are available to learners. Since late 2009, working with 13 other organizations to ensure that the Food and Drug Administration’s REMS (Risk Evaluation and Mitigation Strategy) for extended-release/long-acting opioids would be implemented in a manner that supports quality education and provider support. CO*RE has been instrumental in providing live, online and enduring education, plus tools and resources to more than 750,000 prescribers during the past five years.